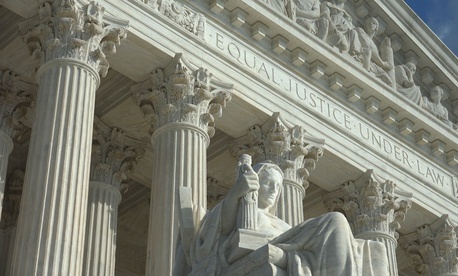 The Supreme Court’s decision Wednesday morning to invalidate state and local public sector unions’ authority to collect “agency fees” from non-member employees could further entrench both sides in the debate over the future of collective bargaining in the federal sector. Although the 5-4 decision in Janus v. American Federation of State, County, and Municipal Employees, Council 31 only directly impacts public sector unions at the state and local level—federal employee unions already are barred from collecting dues or fees from nonmembers—federal union officials have decried the ruling in solidarity with affected unions. Observers of labor-management relations in the federal government said that although there will be no immediate consequences at the federal level, the decision is likely to energize both labor groups and the Trump administration, which is in the midst of an effort to decimate unions’ influence on agency operations. Donald Kettl, a professor in the University of Texas at Austin’s Lyndon B. Johnson School of Public Affairs at the LBJ Washington Center, said that Janus could accelerate the White House’s efforts to curb official time, a practice by which union employees are compensated for work on representational duties. Official time was devised as a compromise in the 1978 Civil Service Reform Act to allow unions to work on behalf of employees—as required by statute—despite being barred from collecting dues or fees from non-member workers. Kettl said that the decision also is likely to cause unions and their supporters in Congress to “circle the wagons” in resisting any workplace changes proposed by the administration. A bipartisan group of lawmakers already has demanded Trump rescind his workforce executive orders. “This deepens the difficulty of getting unions to join in genuine civil service reform,” he said. Robert Tobias, former president of the National Treasury Employees Union and a distinguished practitioner in residence at American University’s School of Public Affairs, said he suspects unions will do what they always do under a hostile administration: organize. That prediction is already proving prescient. Officials with the International Federation of Professional and Technical Engineers, a union that represents a mix of federal, public and private sector workers, told Government Executive ahead of the ruling that they had already begun to focus on membership growth. Perhaps more immediate of a threat for federal unions as they challenge Trump’s workforce executive orders, Tobias said, was a different controversial Supreme Court decision this week: Trump v. Hawaii, in which the court voted 5-4 to uphold the president’s travel ban. “After all, the orders were an exercise of presidential power, and my guess is that, based on the immigration case, the government will use the immigration case to argue that the president has discretion in this area,” he said.